Each of the homes at The Clouds & Palm Villas Hua Hin is located next to the Palm Hills Golf course won best new development in Hua Hin (Thailand Property Awards 2015). The development started about 12 months ago, and there are only 2 plots left (out of 45 total). The development should be fully completed within the next 4-6 months. This particular builder is constructing very high quality homes near Hua Hin town center and near the Palm Hills golf course. 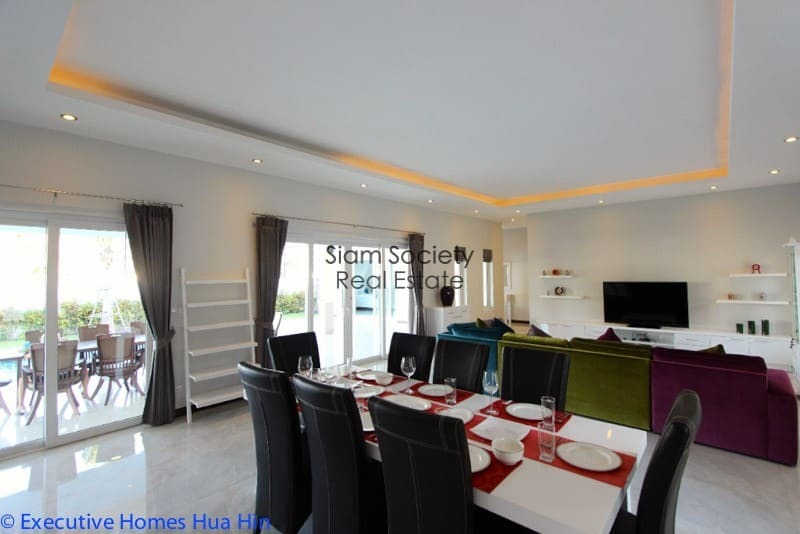 At the moment, it is extremely difficult to find reasonably priced, high quality homes near Hua Hin town center. 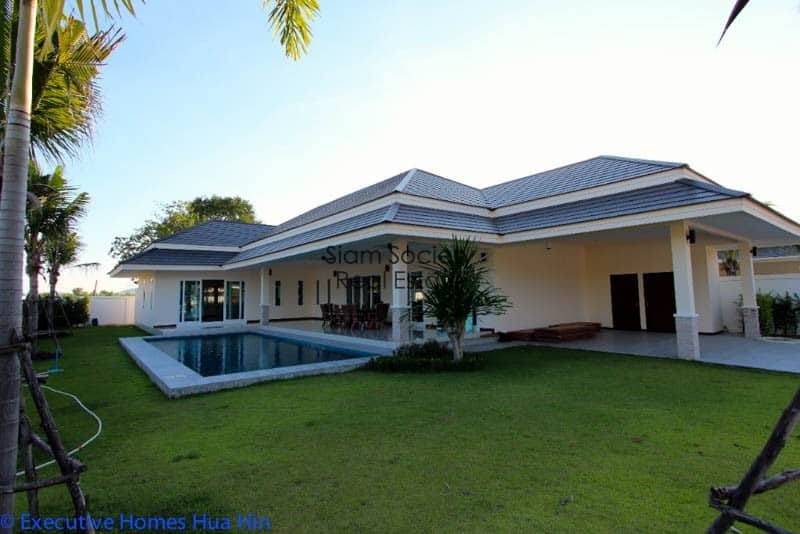 In our opinion, this is one of the best deals in the Hua Hin Real Estate market. Each house is a large, 280 square meter 3 bedroom, 3 bathroom private pool villa with a beautiful outdoor terrace overlooking a large, saltwater swimming pool and landscaped garden. Each home comes with a full 10 year membership to Palm Hills Golf Course. There is also a large fitness center with high quality equipment on the development. Each house is fitted with imported kitchens designed and built in Denmark. 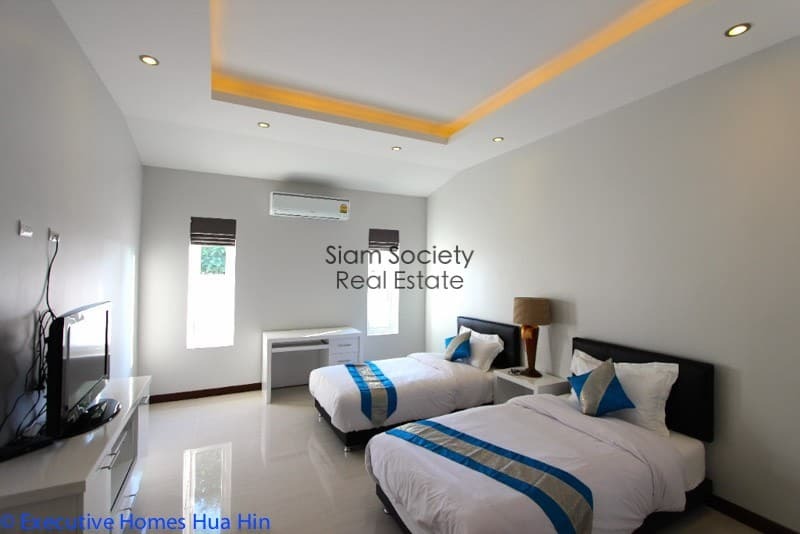 The housing development is also located 1 kilometer from the nearest beach, and is very close to Makro shopping center, the Dusit Thani and the Hua Hin Polo Club. You have the option to customize your home with the architect, if you would like to make any changes to the overall design and layout. The builder is a very reputable English developer who has been constructing homes in Hua Hin for the last 27 years. 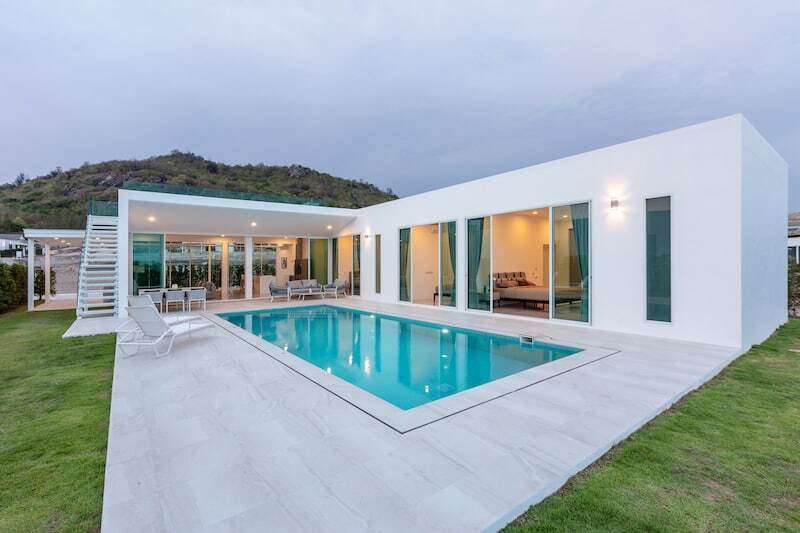 He creates high-quality homes, with high grade steel, full electrical conduit throughout the entire house (not required, or commonly done here in Thailand), double-glazed windows with argon gas inside, and beautiful, customized swimming pools. This is also one of the only government approved developments in Hua Hin, which means the common area gardens are quite large and the roads inside the development are much wider than normal.